If you are you looking for a WordPress theme that is suitable for travel? Perfect! I highlight some of the best free WordPress travel themes available, and you can use them freely. If you are in the travel industry, have an agency, holiday, portfolio website or blog about travel, these themes can be of great use. It is always difficult to find a theme that suits your requirements. A big advantage is that most WordPress travel themes in the list also come with a premium version if you need additional features or more support. Traveling and seeing amazing and breathtaking views and places around the world is fantastic. Traveling is a lot about visiting new places, discovering new cultures and meeting new people. If you can convey all this and much more on your travel website, you have come a long way to creating a significant online presence. As I mentioned, all these beautiful WordPress travel themes are free. Use them as you like and good luck with your travel, tour, destination, or vacation website. 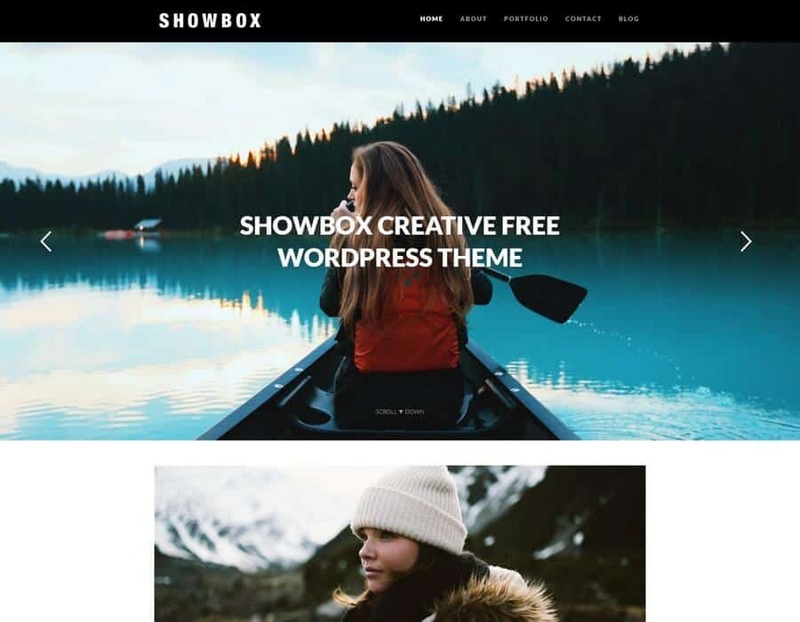 ShowBox Photo Portfolio Responsive WordPress Theme is a perfect choice for websites that focus on travel, photography or want to display your content beautifully. With the big header slider and great features images makes an impressive first impression. 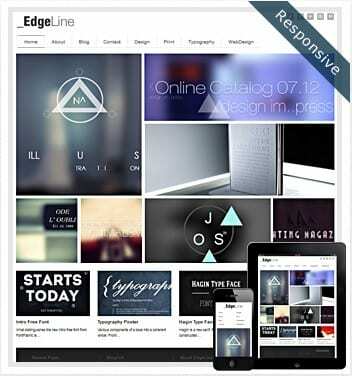 The theme includes several great features like a responsive slider, theme options, SEO optimized to mention a few. The design is clean, elegant and spacious, which means your content stand out in an engaging and organized way. ShowBox is a perfect theme to display or promote beautiful travel pictures and reports. There is also a premium version of ShowBox available if you want more support, updates, and free setup! 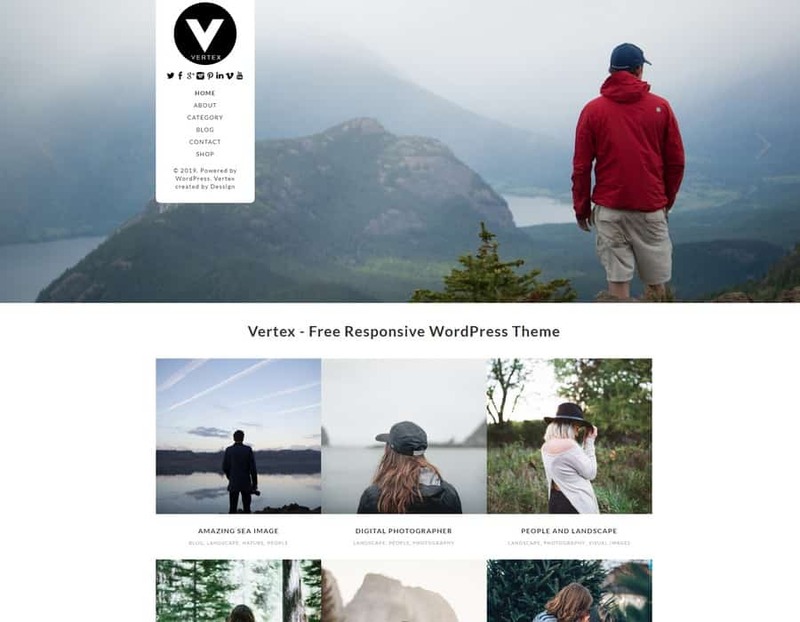 Vertex is a WordPress theme you can use with advantage for travel bloggers who travel around our fantastic world. Show your travel experiences stylishly and beautifully with this theme. Show your most beautiful images in an impactful way in the fully responsive slider. The design of the theme is impressive, and it also includes some great features such as theme options for customization. Search engine optimized, custom background image and much more. 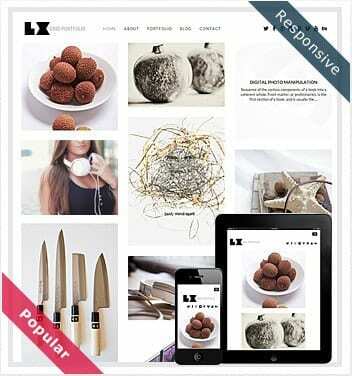 Give Vertex a test spin; after all, it is a free great looking WordPress theme! 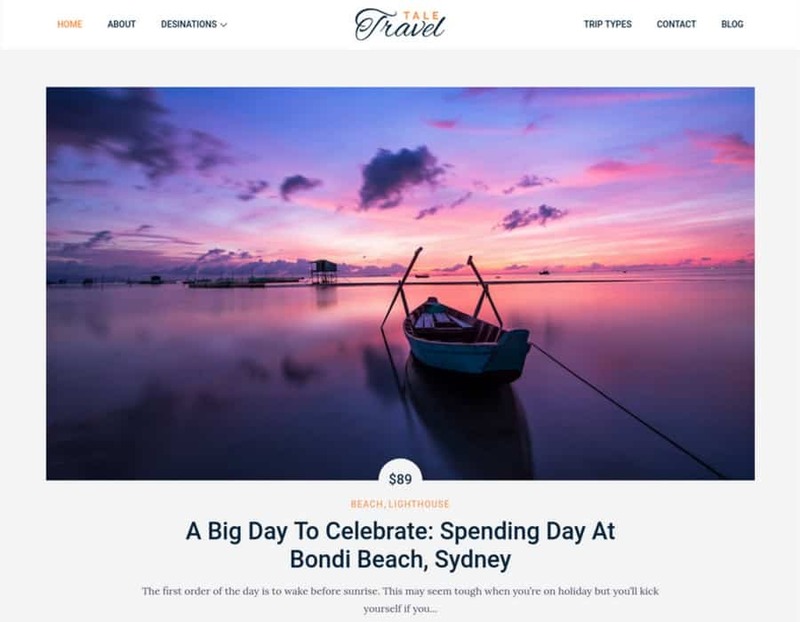 Tale Travel is a great looking WordPress travel theme with great potential to create an informative and appealing travel website. The theme focus on travel, travel blogs, agencies, tours and holiday websites. The design is beautiful and inviting with large, eye-catching images and various sections for optimal presentation. It is also possible to upgrade to the premium version if you need additional features. However, the free version of Tale Travel takes you a long way in creating an exciting travel website. Tafri Travel is a free WordPress theme that is beautiful and advantageous to supercharge your website. This theme is excellent for all types of travel related websites, and blogs. Because of the WooCommerce support, you can also create an online store to sell products and plans. Tafri Travel comes with an attractive design. With the large header slider, it is possible to display eye-catching images. There are easy-to-follow documentation and instructions you can follow step by step when installing the theme or if you run into any problem. Tafri Travel is a great looking theme for anyone who likes to travel. Travel Base is a free WordPress theme that focuses on travel and travel packages. The theme includes a simple booking system which makes it possible for visitors to search and book trips or packages. Travel Base contains some nice features to display informative information about travel tours. The design of the Travel Base theme is spacious and attractive. The large header slider enables you to display attractive images neatly. The theme is responsive, so your website looks great in all mobile devices — no matter which screen size your visitors use. 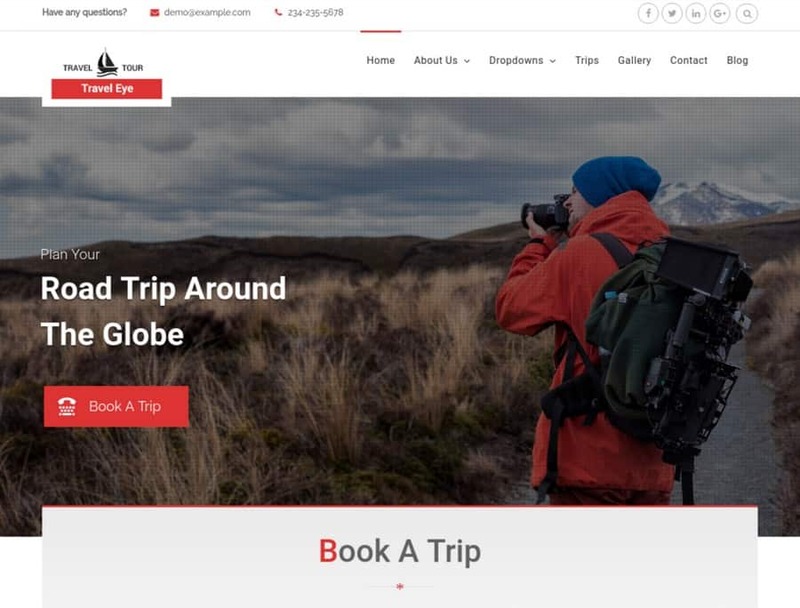 Travel Base is a beautiful and solid WordPress travel theme. 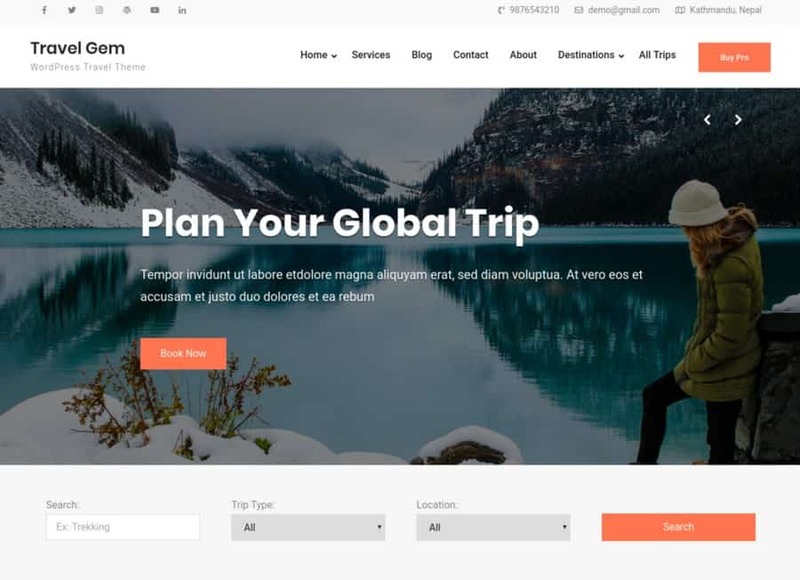 Travel Gem is a free WordPress travel theme that is available to download in the WordPress theme repository. Are you looking for a theme that is suitable for travel, tours or business? Your search is over! Travel Gem is an excellent choice for depicting and presenting trips and destinations. You can create and build great layouts with the site builder integration (SiteOrigin Page Builder). Two header layouts are available in the free version. Also four sidebar layout options, footer widgets and WooCommerce support. As you can see, there are opportunities to create a website with an attractive layout for all travel enthusiasts out there. Travel Ultimate is also a free WordPress theme with Theme Palace signum. This theme reminds and resembles Travel Base with a beautiful slider to showcase travel, beach, nature or other beautiful photos. There is also the opportunity for travel enthusiasts to search and filter trips and tours with Trip Types and Location. 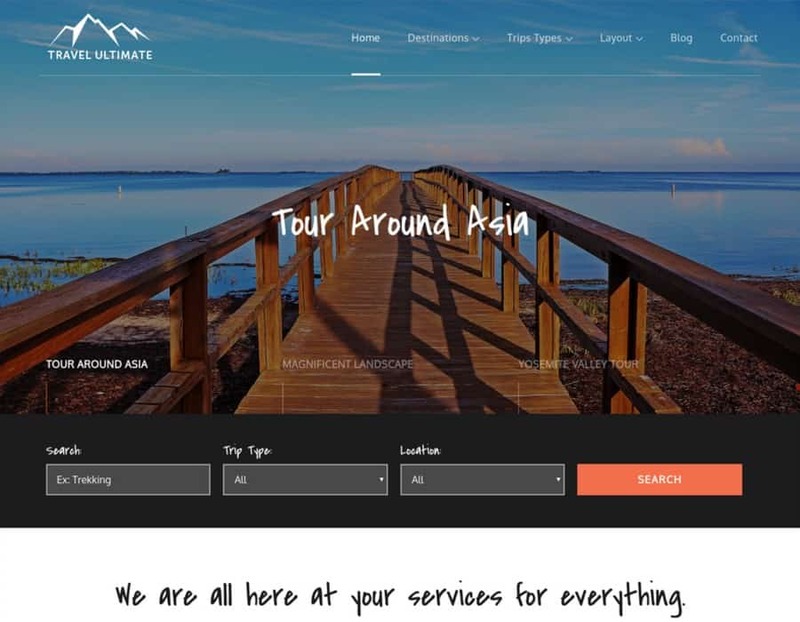 Travel Ultimate is a beautifully designed theme with great potential to build a sustainable and versatile website for travel and tours. Some features included are responsive design, slider, packages, destination, event, guide sections. 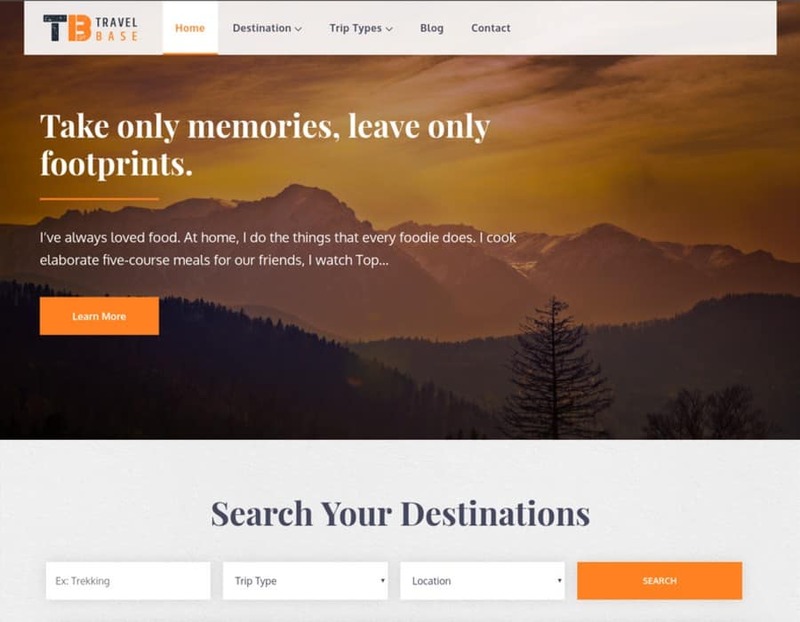 The Travel Ultimate is a WordPress theme that can boost your presence online. 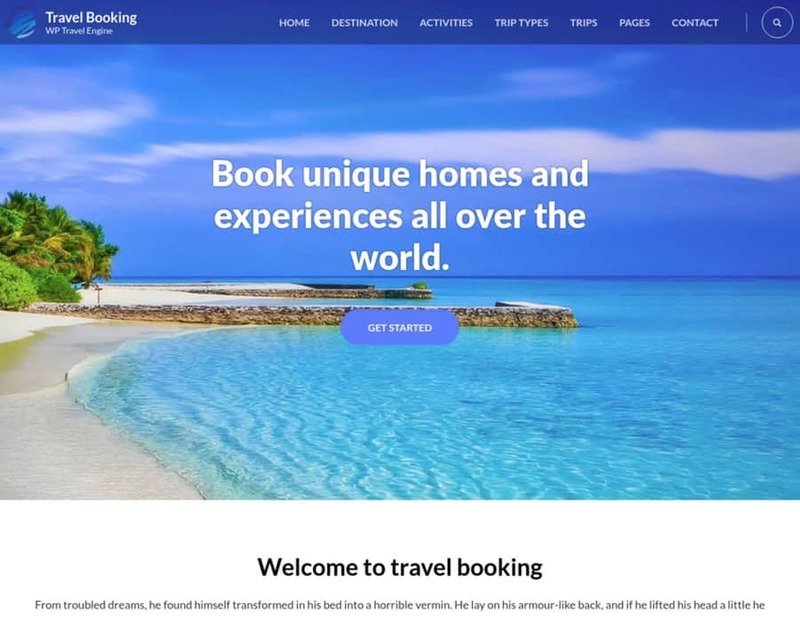 Travel Booking by WP Travel Engine is a beautiful and enticing WordPress theme for travel, trips and travel websites. Your visitors can also book tours on the website with this theme. The theme is stylish with a clean and classy design. The content looks incredible with the classic grid layout. Travel Booking comes with exceptionally well-written and valuable documentation. It covers everything from installation, recommended image sizes, demo import, how you can customize the theme via live customizer and much more. This travel theme comes with great looking design, pleasing features and can be used to array various travel activities in an organized and structured way. 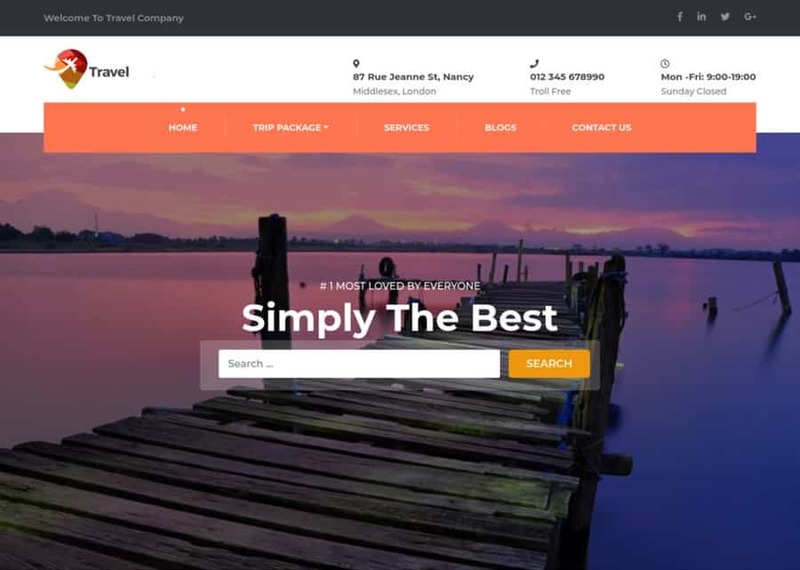 Travel Company is another exciting free WordPress theme for all kind of travel websites. Its primary focus is on travel booking blogs and agencies. But of course, it works great for other fields such as trips, tours, destinations or to present great travel-inspired content. The design and layout are modern and spacious with different sections that appealingly display the content. With its responsive and mobile-friendly design, Travel Company is an excellent choice for anyone who wants to run a website focusing on travel. 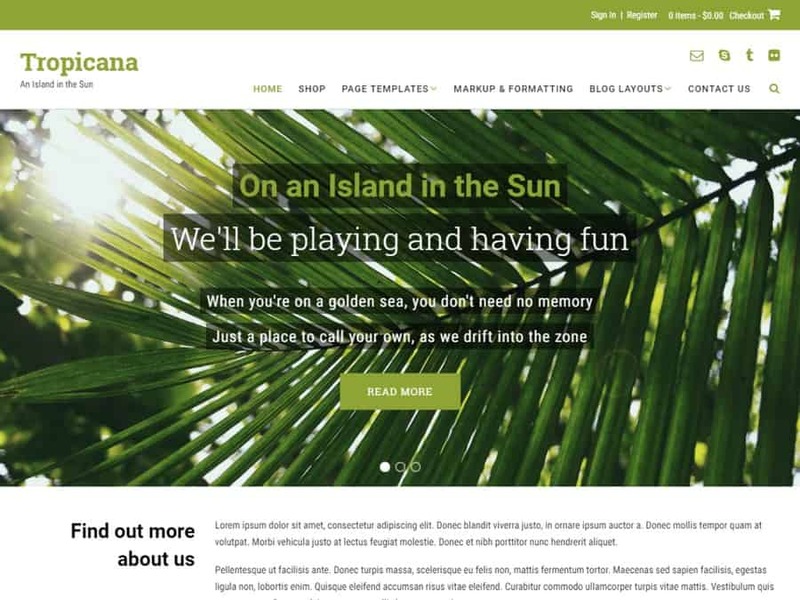 Tropicana is a WordPress theme that brings thoughts to tropical environments and paradise islands. Out the Box has created this free theme to fit any travel website regardless of niche. It works for travel and tour websites. The theme integrates seamlessly with plugins such as WooCommerce, Polylang, WPForms and more. Tropicana also works well with the page builder from SiteOrigin to build attractive and professional looking pages. Tropicana is a great looking WordPress theme with a clean and beautiful design. It is perfect for all travel-oriented websites. 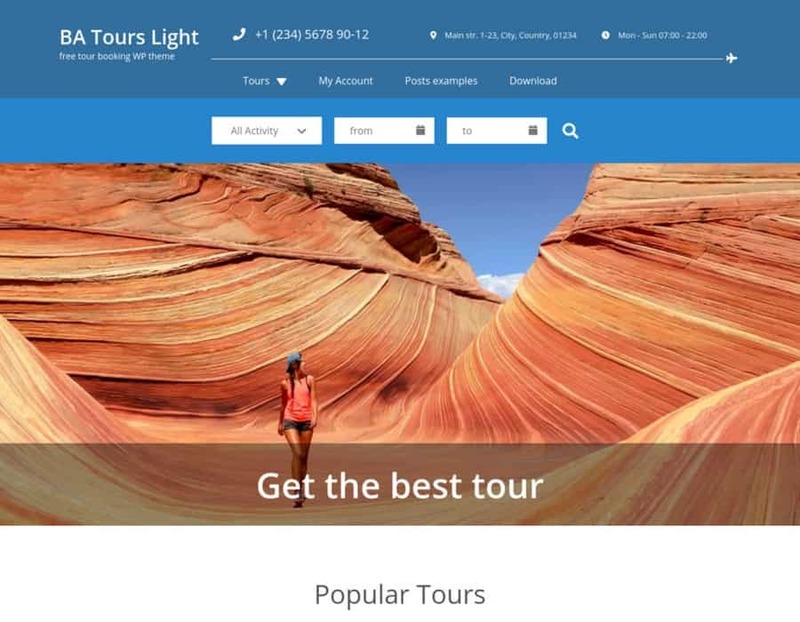 BA Tours light is a WordPress theme with a primary focus on travel booking, travel agencies, and tour operators. You can make travel bookings with the compatible booking engine BA Book Everything plugin that works seamlessly with the theme. With its large header slider, it is possible to display large images in an eye-catching way. The grid layout and beautiful sections on the front page make the content elegant and exquisite for your visitors. BA Tours is a complete WordPress travel theme with a lot of great features to supercharge your travel website. Travel Eye is a free responsive WordPress theme suitable for all kind of travel, tours and holiday websites. Travel Eye is an inspiring theme with valuable features as a great search function with filterable options. Moreover, it is compatible with the drag-and-drop page builder from SiteOrigin, which opens up new opportunities to create and customize pages. The theme comes with a prebuilt layout with great sections that elegantly perfect the design. Travel Eye is one of the best looking free WordPress travel themes out there. Give this theme a try and evaluate if it works for your website? 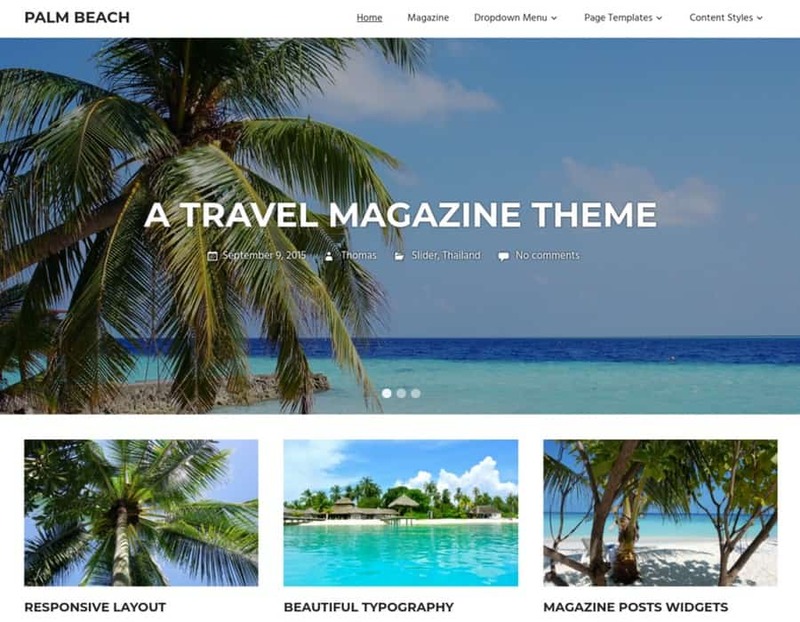 Palm Beach is a WordPress from the acknowledged WordPress theme provider ThemeZee that released many other appreciated themes. The design is beautiful with a fullscreen slider and grid-based layout for the content. Which makes your presentation of travel, trips, tour or other topics gain an excellent appearance for your visitors. 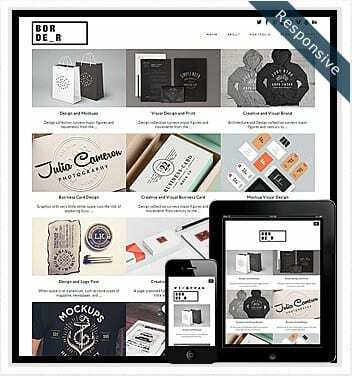 ThemeZee design magazine styled WordPress themes. You can also use this theme for magazines, news, or portal for, eg travel inspiring topics. The look and feel of Palm Beach are attractive and suit everyone who wants to create a great online appearance. Traveler Blog Lite is a beautiful free WordPress theme focused on the travel industry. It is perfect for travel bloggers who want to present content attractively. 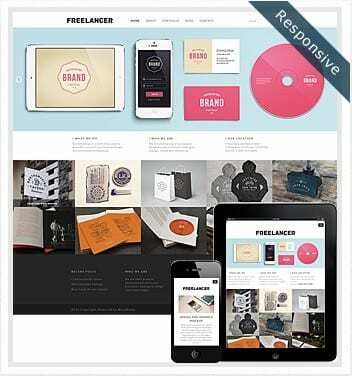 The theme comes with a responsive layout, post slider, and an elegant grid-based layout. The theme is fully customizable from the backend, very lightweight and loads fast, which is an essential factor for search engines like Google. 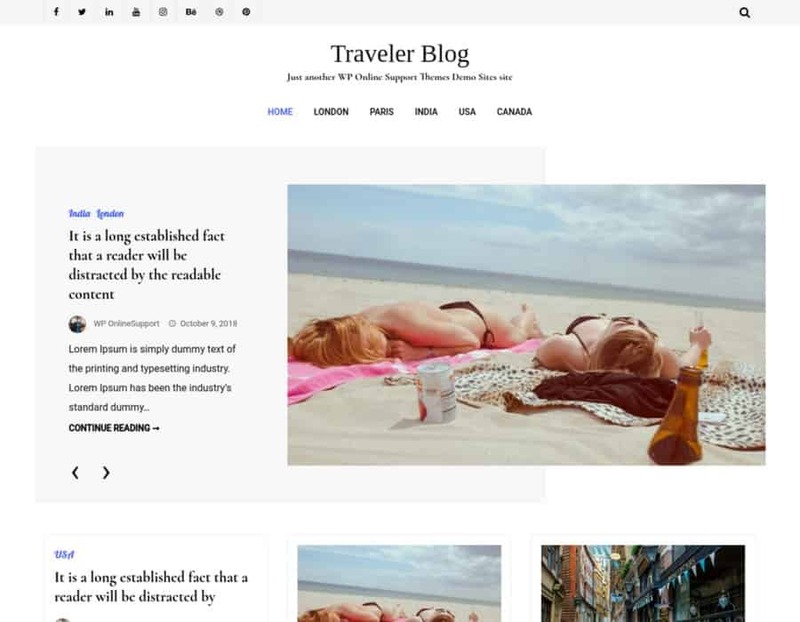 Traveler Blog Lite is a beautiful WordPress theme that is suitable for niches other than travel. Use the theme to boost your content for your visitors. 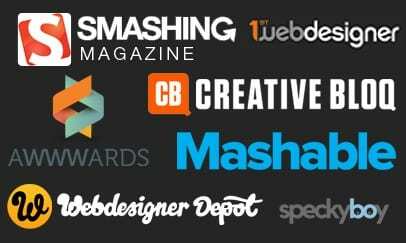 They for sure will like your website look and feel. 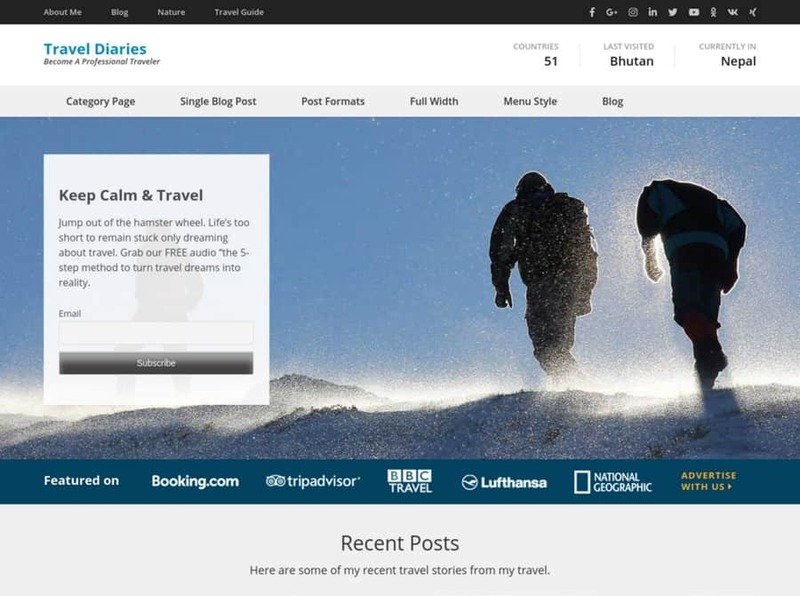 Travel Diaries is another free WordPress theme perfect for travel bloggers. However, bloggers in other areas can of course also use the theme. The design is responsive and grid-based which makes it perfect for displaying content in a beautiful and organized manner. 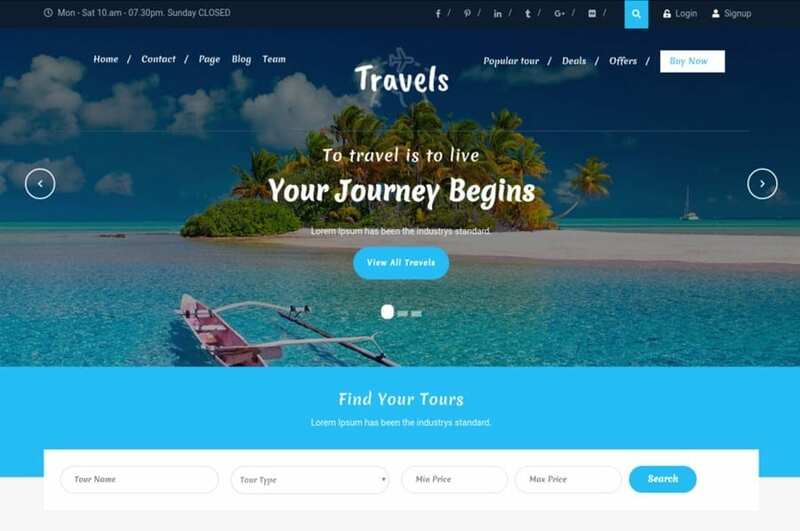 Travel Diaries is a great looking and beautiful theme with features like that it is possible to add your site logo, custom CSS, translation ready, SEO optimized and much more. Travel Diaries is an excellent WordPress travel theme that is perfect for bloggers on the go. I searched high and low to find the best free WordPress travel themes, and I hope any of these themes in the list can be of great use to you? I know how difficult it can be to find that particular theme. It can be days, weeks and even months. Trying themes is essential. It is a significant advantage with free themes. You can easily install themes in a test environment such as MAMP, XAMPP, Desktop Server, Instant WordPress and more to test look, design, and functionality without spending a buck. I have some favorites among the themes in the list. What WordPress travel themes do you prefer? I would love to hear your opinions. Please add a comment to get the conversation started.